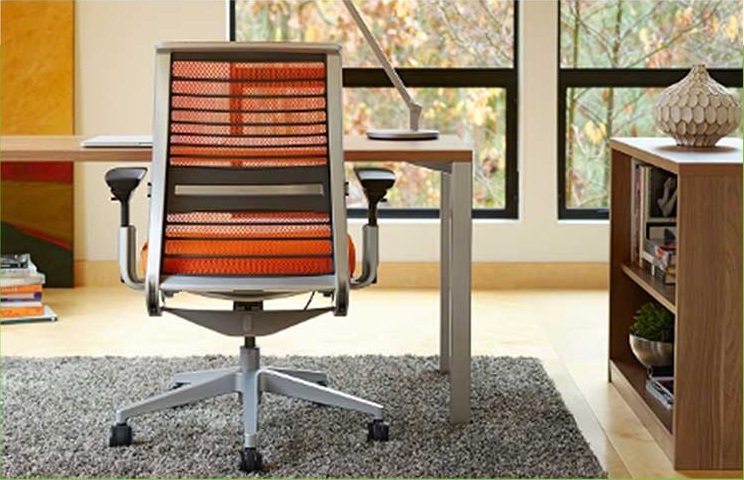 Scott Rice Office Interiors has been providing value-based office furniture solutions since 1935. When we ask our customers why they do business with Scott Rice they tell us that we understand their needs and provide productive work environments. They also tell us we are dependable and provide great service – doing what we agree to in a timely manner. Scott Rice measures its performance with customer surveys and makes changes as needed to continually improve its performance. Scott Rice Office Interiors is locally owned and committed to its employees, customers and the community. Scott Rice now offers promotional products for organizations wanting to create awareness, provide directional change, promote concepts to specific groups of employees or customers and provide employee incentives and recognition. Purchasing office furniture requires practical considerations beyond aesthetics. Furniture may look nice, but if your employees go home with neck aches every day or aren’t productive in the space, your business won’t thrive. By avoiding a few commonly made mistakes, you can select furniture that will yield improved employee satisfaction, productivity and profits for your business. Since Scott Rice started measuring service performance using customer surveys (over 5 years ago) customer feedback indicates that scott rice service performance has steadily improved. “even though service performance has exceeded our customer’s expectation we still strive for improvement.” there is a lot of team work and coordination that goes into an office furniture project. Scott rice employees team up to create great office environments and smooth installations. TO INQUIRE ABOUT AVAILABLE POSITIONS CALL 316-269-2700. OR CONTACT US FOR FURTHER INQUIRY. Scott Rice office interiors have been providing productive workplace environments through the effective use of available space, carpet and office furnishings based on our customer’s individual needs and objectives. We have been serving the Wichita area and beyond for over 34 years.